Have you had it up to here with all the varmints on your property, with their incessant chirps and whistles, fervent tendency to dig holes under your foundation, and otherwise unseemly behavior? Then it’s time to remind them of humanity’s supremacy over varmintkind with this 22 WMR cartridge by Hornady. The little banger features its Nebraskan manufacturer’s 30 grain V-MAX projectile, which has a pointed polymer tip positioned atop the rim of its jacket and nestled in a cavity within its swaged lead core. Upon impact that tip jams deeply within the bullet, exploding both its core and its jacket with the kind of force that turns varmints into modern art. 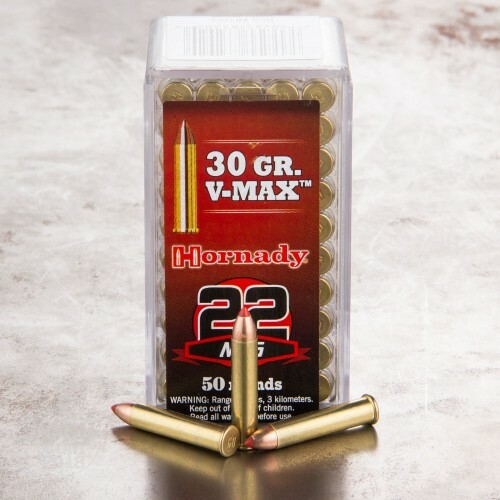 With its highly aerodynamic profile the V-MAX an accurate enough bullet to find such small targets as well. 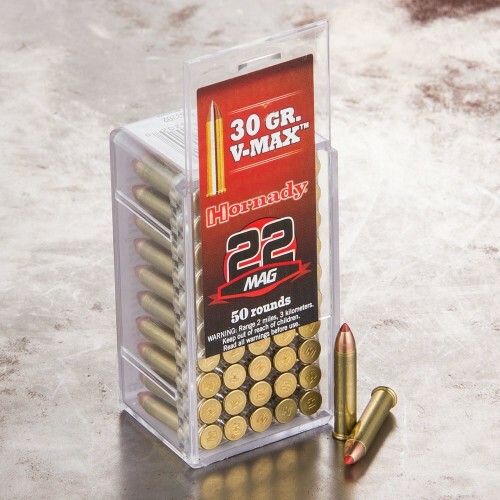 This cartridge further offers a select brass casing, sensitive rimfire primer, and powder that burns to create the optimal chamber pressure for its caliber. 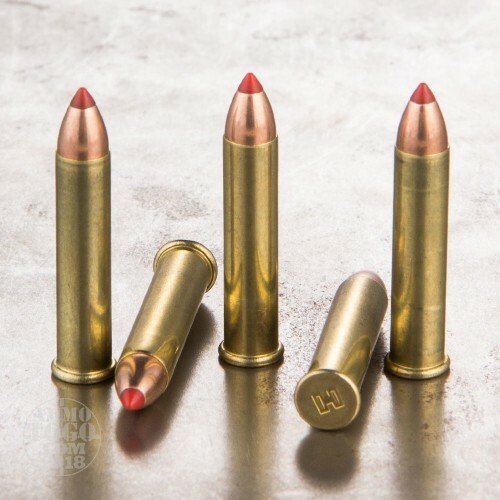 You can always trust a Hornady round for how carefully each and every one of its nooks and crannies have been poured over before shipping out. Rating is for delivery of the ammo; I haven't shot any yet. Delivered quickly and all in one piece. Excellent quality. I will purchase again. Absolutely a great product! 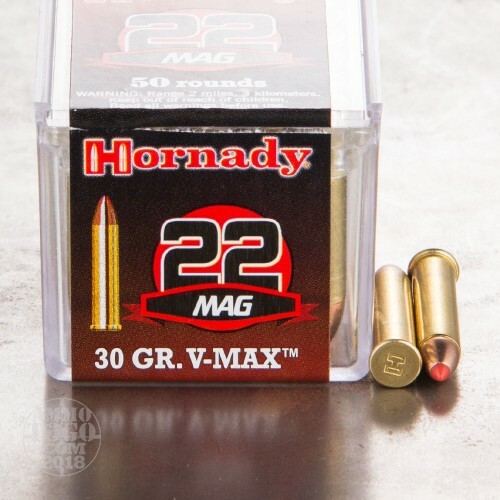 I am exceptionally pleased with the quality of the ammo.